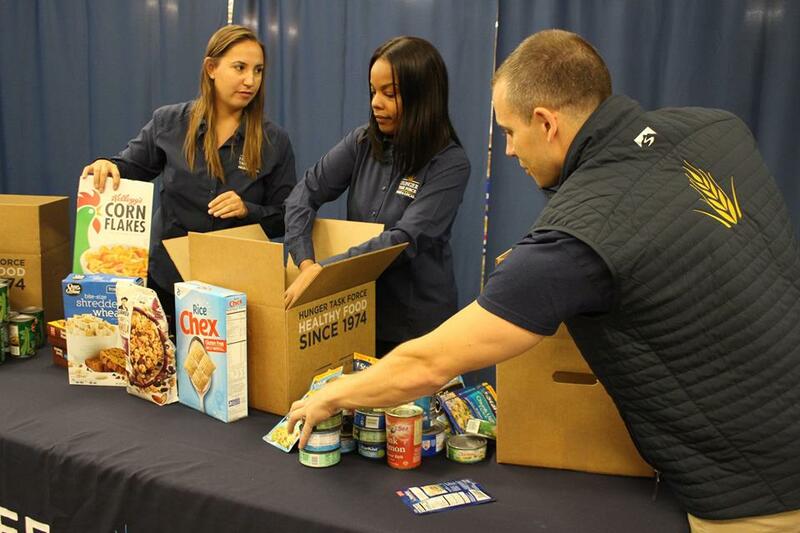 Food For Families is Hunger Task Force’s signature holiday food drive, sponsored by Johnson Controls. From October 1 – December 31, local grocery stores, businesses, schools and organizations host healthy food drives to gather nutritious foods for hungry families and children in Milwaukee. This year, focus on healthy eating with the Hunger Task Force MyPlate and rally friends, family and coworkers to host a MyPlate Food Drive! Or, make a donation when you see our blue food drive boxes in grocery stores. As Milwaukee’s Free & Local food bank, Hunger Task Force delivers all food donations to the hungry absolutely free of charge.